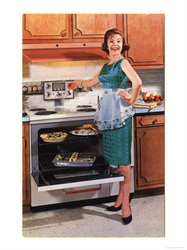 Click image to be redirected to the website where it was located. PLEASE NOTE: ALL IMAGES HAVE A LINK TO THE WEBSITE WHERE THEY WERE LOCATED. CLICK THE IMAGE TO BE REDIRECTED. 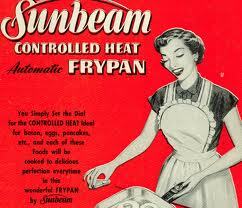 If we trace the TV commercials down the ages we will see that 1950s can be marked as the golden age of television. 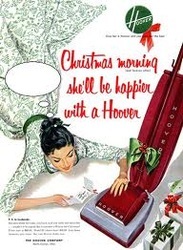 Just as the TV shows the commercials were equally interesting. 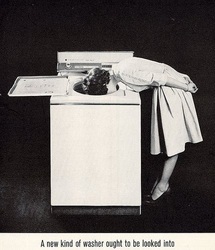 During 1950s television was still a novelty. 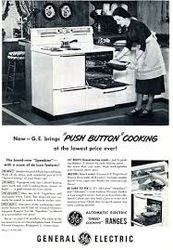 The companies were trying to spread a craze among the viewers. 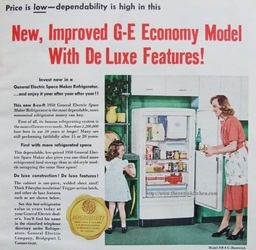 In early days TV ads were shown only late at night and no ads used to appear on Sundays. This was not to offend the viewers by distracting their attention while they watch a TV show. 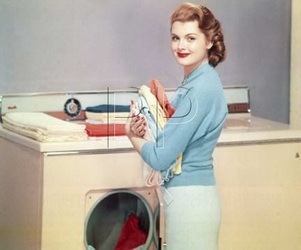 The popular TV commercials of the 1950s mostly feature cars, beers, cigarettes and kitchen appliances. Art and architecture in the 1950s took on a whole new shape. 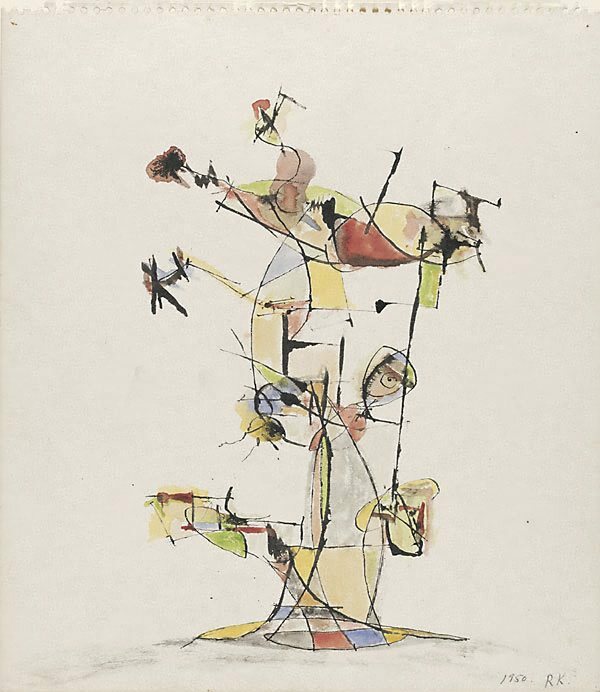 Experimental artists started the abstract expressionism movement in the 1950s. 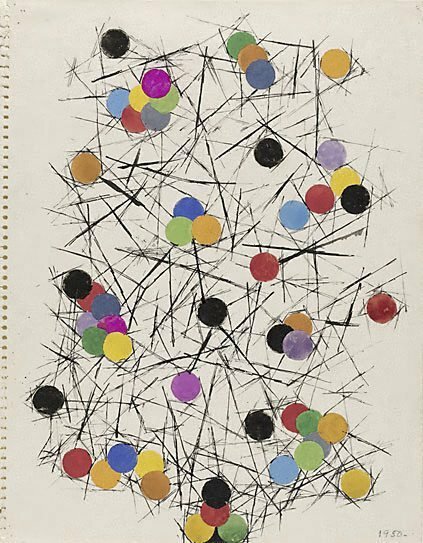 Many influential artists came from this time period, including Jackson Pollock, Ad Reinhardt, Clyfford Still and Andy Warhol. 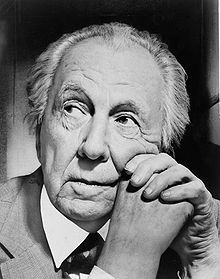 Architect Frank Lloyd Wright forever changed the way people around the world viewed buildings. 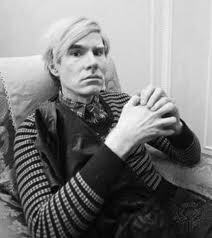 Work came quickly to Warhol in New York, a city he made his home and studio for the rest of his life. Within a year of arriving, Warhol garnered top assignments as a commercial artist for a variety of clients including Columbia Records, Glamour magazine, Harper’s Bazaar, NBC, Tiffany & Co., Vogue, and others. He also designed fetching window displays for Bonwit Teller and I. Miller department stores. After establishing himself as an acclaimed graphic artist, Warhol turned to painting and drawing in the 1950s, and in 1952 he had his first solo exhibition at the Hugo Gallery, with Fifteen Drawings Based on the Writings of Truman Capote. As he matured, his paintings incorporated photo-based techniques he developed as a commercial illustrator. 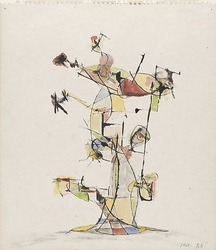 The Museum of Modern Art (among others) took notice, and in 1956 the institution included his work in his first group show. 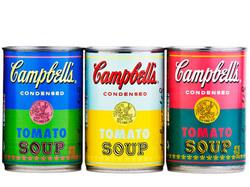 Click image to be redirected to the Andy Warhol website, where this information was extracted from. 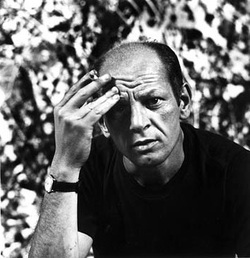 Click image to be redirected to the Jackson Pollock website, where this information was extracted from. 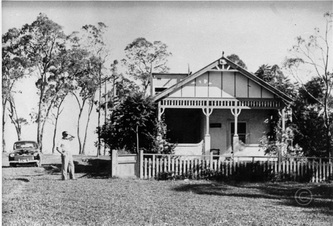 Following the end of WWII, Australia experienced a major housing boom. 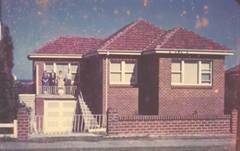 It was fuelled by a marked population increase and the pursuit of a new Aussie dream: to own a home in the suburbs. 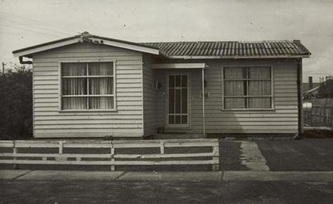 The rate of home ownership increased from around 40 percent in 1947 to over 70 percent in 1960 and sparked a massive phase of building and construction in Australia. Click image to be redirected to the Frank Lloyd Wright website, where this information was extracted from. 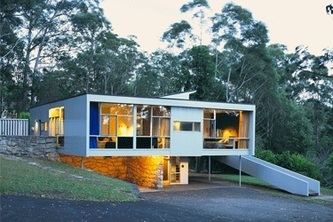 Harry Seidler, AC OBE (25 June 1923 – 9 March 2006) was an Austrian-born Australian architect who is considered to be one of the leading exponents of Modernism's methodology in Australia and the first architect to fully express the principles of the Bauhaus in Australia. Seidler designed more than 180 buildings and he received much recognition for his contribution to the architecture of Australia. Seidler consistently won architectural awards every decade throughout his Australian career of almost 58 years across the varied categories – his residential work from 1950, his commercial work from 1967, and his public commissions from the 1970s. Click image to be redirected to the Harry Siedler website, where this information was extracted from. 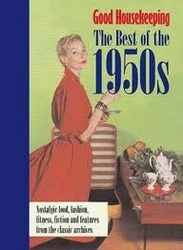 Most Australians in the 1950s lived in the spreading suburbs of the major cities. The ‘Australian dream’ became a brick home on a quarter-acre block of land in suburban Australia, with a car in the garage. 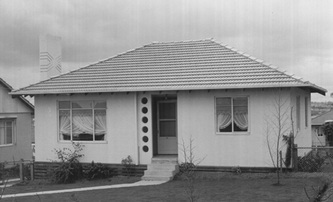 The government made cheap war-service home loans available for returned servicemen, and established a housing commission to encourage and coordinate housing construction. Under the Labor government, the prices of building materials had been controlled. Despite the shortages of traditional building materials, such as timber and brick, there were 57 000 new homes built in 1950. 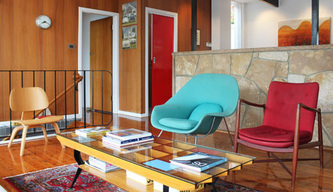 Alternative construction materials were used to replace expensive timber; concrete was used instead of floor boards and masonite, a building material made from compressed wood fibres, was used to line home interiors. 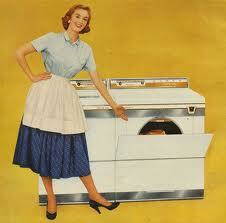 There were also many schemes to construct prefabricated and mass-produced houses. Many of these suburbs lacked any planning and failed to provide support facilities such as shopping centres, public transport or even sewerage. 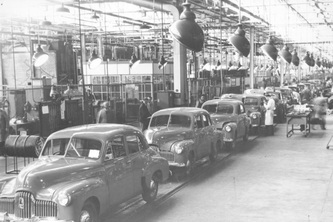 The first Australian-made car, the FX Holden, was manufactured in 1948. 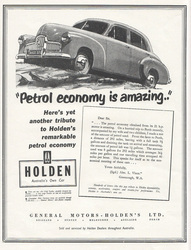 Initially, the Holden factory could only roll 10 cars off its production line per day, but by 1951 production had accelerated to 100 cars per day. In 1953, Holden released the FJ Holden. It cost £1,074 - the equivalent of 68 times the average weekly wage. By 1955, it was estimated that there were 1 850 000 cars in Australia. 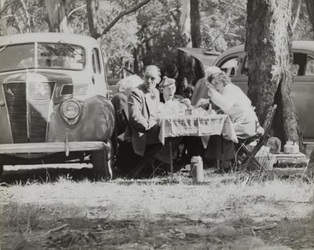 The motor car also changed the Australian way of life. Australians could now travel wherever they wanted, whenever they liked. People drove to the beach, to sporting fields and shops and could maintain friendships with people in far-away suburbs. The car also became a symbol of affluence for many families.